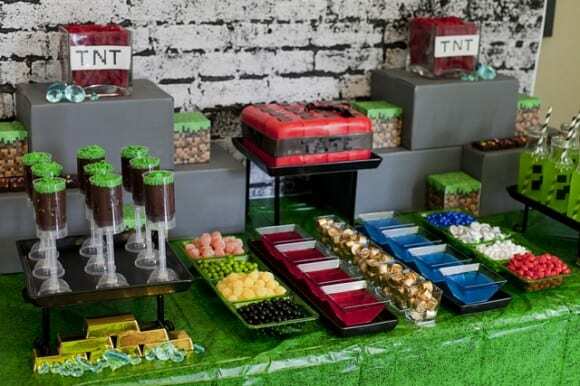 Minecraft parties are all the rage right now. 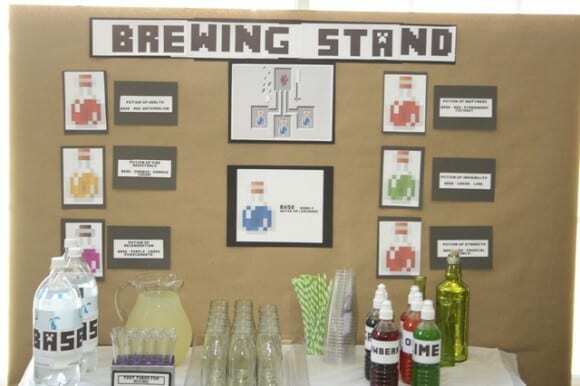 Below are seven ideas that are must-haves for your party! 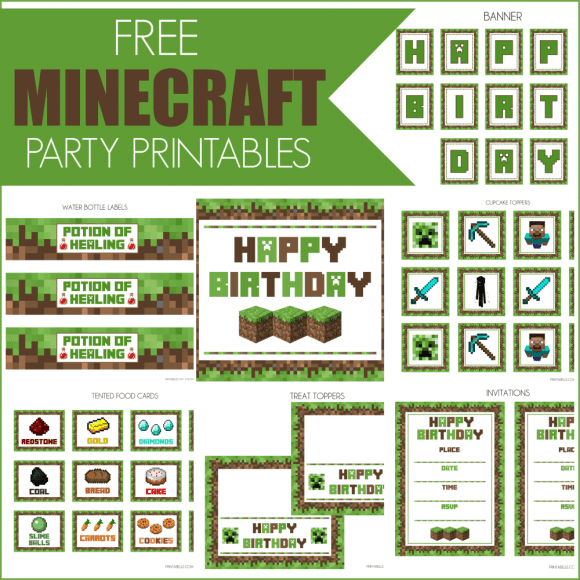 An easy way to decorate your party using these downloadable files. Print as many as you want! The collection of downloadable files includes: party invitations, a welcome sign, cupcake toppers, banner, treat toppers, tented food cards, and water bottle labels. 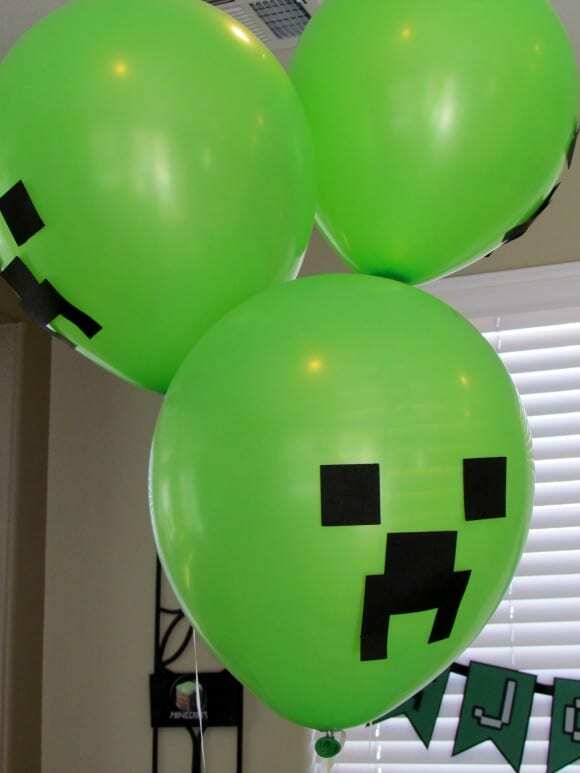 These Creeper balloons are easy to make with green balloons and black tape and are a perfect decoration for the party! 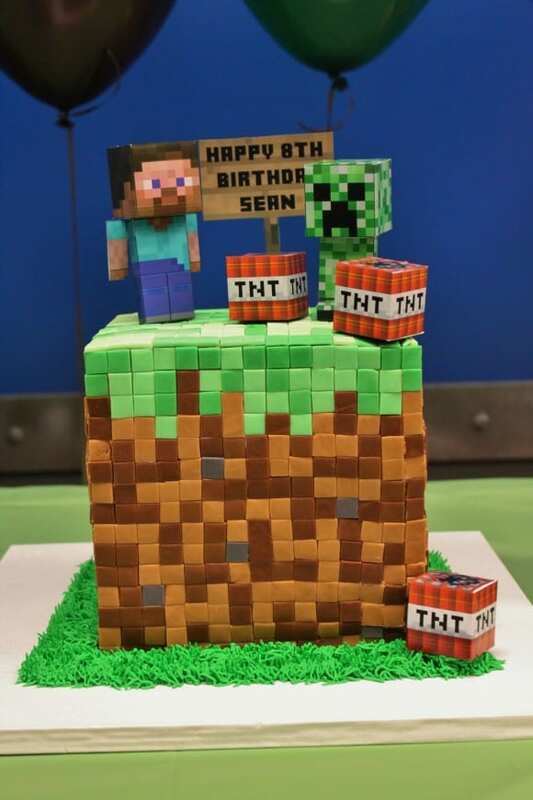 Using different colored fondant squares, you can make a Minecraft cake that look like they came directly out of the game. All these desserts are inspired by the game! When your guests get thirsty, let them concoct their own magic potions! This backdrop can be made with colored square paper plates and looks fantastic behind the dessert table. 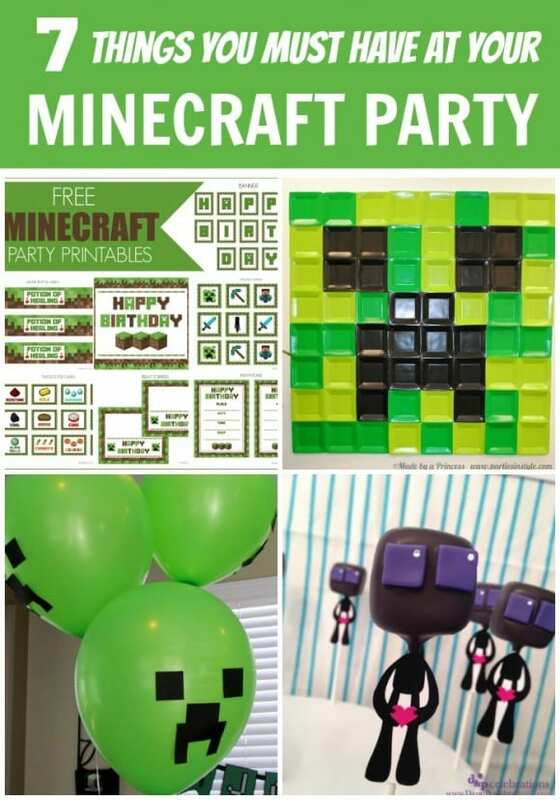 Don't forget Endermen at your party! 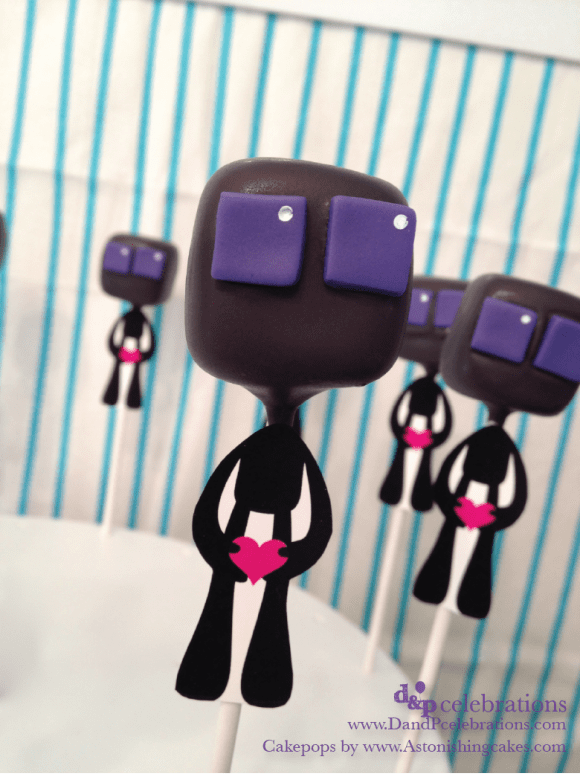 These cute cake pops will definitely get everyone's attention! 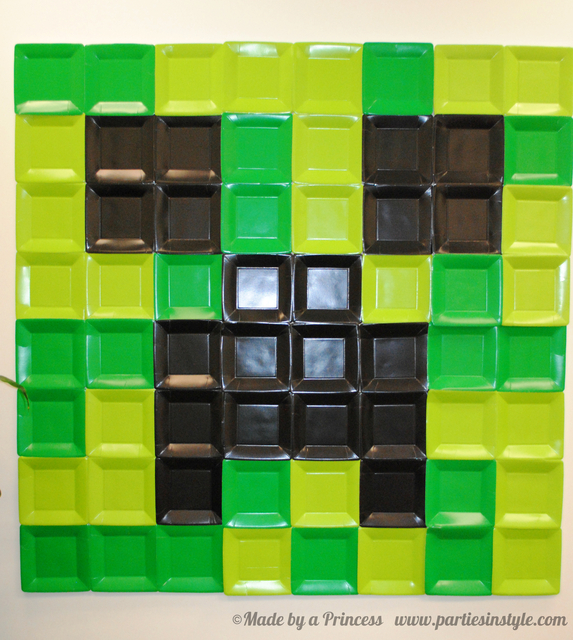 For a lot more Minecraft party ideas, check out all these amazing Minecraft parties on our site!